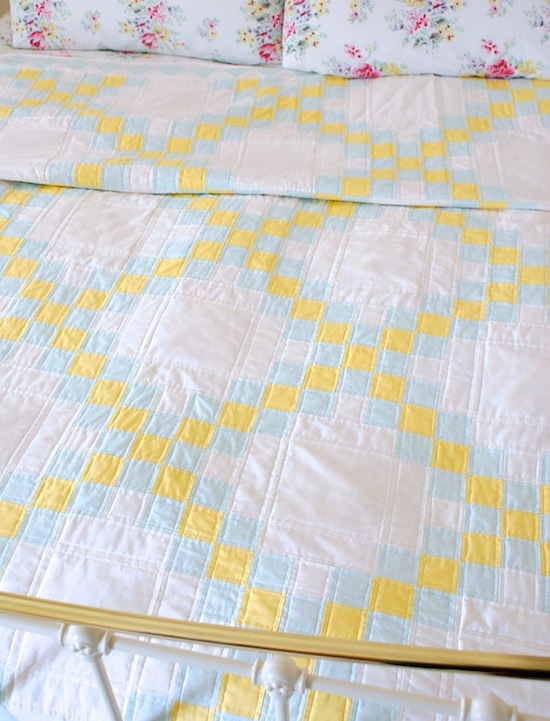 MessyJesse - a quilt blog by Jessie Fincham: Double Irish Chain Quilt! Finished. At last! My double Irish chain quilt has been waiting very patiently for me to find the motivation to baste and quilt this beast! I'm so pleased it's finished as it's now sitting proudly in my bedroom. It just fills the space with such a sunshiny, spring feeling when I walk into the room now. 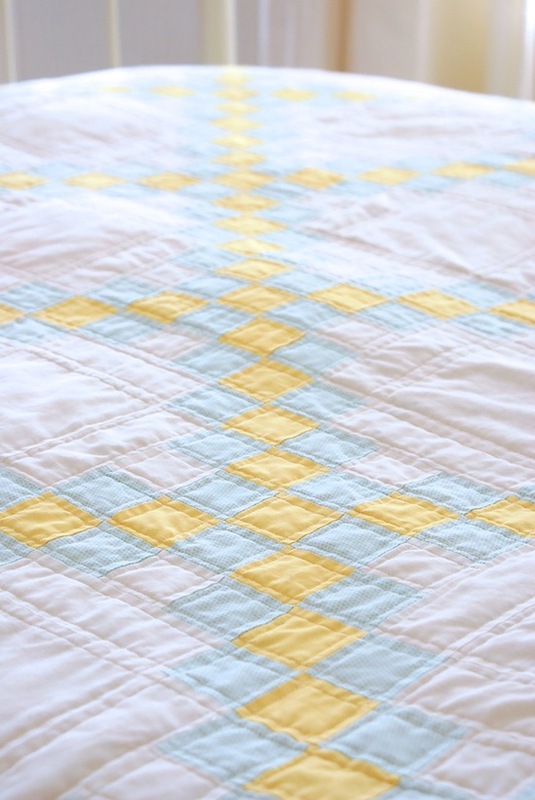 I've always wanted a happy yellow quilt, and an Irish chain has always been such a simple but striking pattern to me - so I liked the idea of blending the two. I'm not usually one for adding border designs of sorts, but I think the diamond border adds something extra to this otherwise conventional design. The backing fabric is a vintage sheet I've been keeping safe for a long time for 'that perfect quilt', I just love it. It's one of my very favourite vintage sheet patterns and I think it really ties everything together so well. For quilting I did straight lines either side of every seam, stopping at the white centre's. I had planned to do some free motion design to fill the space, but I didn't quite have the confidence to do it once I'd done the rest of the quilting... I'm not entirely happy with that part in all honesty, but "I can't think about that now, I think about it tomorrow!" ;-) perhaps I could come back to it later? I'm getting to the point now when I just need to spend some more time actually practicing FMQ, instead of thinking I may just magically be able to do it one day? I chose Kona White for the binding to blend seamlessly with the rest of the quilt and it looks just great against the vintage sheet backing. It is so gorgeous¡¡¡ And the backing is just right for this quilt. I hope spring come soon too. Love it! You could go back and add some fmq anytime, but I kind of like the simplicity of it just the way it is. I have been wanting to make an Irish chain quilt for year- yours is just beautiful! And I think the amount of quilting is just right too, keeping with the simplicity of the pattern. Well done! oh, how lovely ! so fresh and clean looking and so pretty ! you are clever !! i think the quilting is perfect for that design echoing the pattern perfectly. i have to admit a dislike for fmq myself, i find it too busy and a teensy bit boring ? i can't think that generations to come will be exclaiming over the workmanship in a fmq quilt. anyway, love the quilt you have actually made and it's delicious backing- wish someone would remake them now. It's beautiful! I'd be banning coffee in bed though with all that beautiful white! I love your pillowcases too! It is just beautiful, so feminine and perfect! You may have answered this in a previous post, but I'm having trouble finding it. 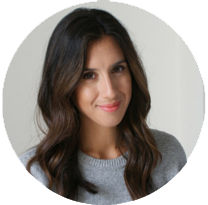 what book is that you used for the quilt measurements? I'm so new to quilting, and would find it very helpful to have a pattern for this lovely quilt. Thank you! So beautiful! Love the Aqua and yellow! Oh that is so pretty! Like a breath of fresh air. Oh Jessie it's gorgeous!!!!! 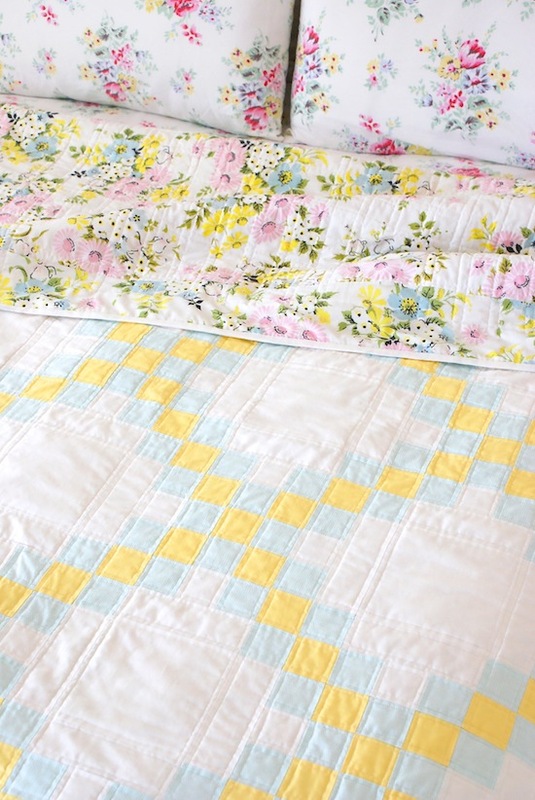 The perfect spring quilt! And I love the quilting, I know what you mean about confidence on the FMQing, I'm always too worried that I'm going to ruin a perfectly good quilt, but I guess we all have to start somewhere? Jesse it is just GORGEOUS. I love the two soft pastels and the white on the front, and that sheet! Perfection. I want to steal it! Gorgeous!! your quilt is amazing....what a massive project and I love the floral backing fabric which contrasts beautifully with the plain fabrics on the right side. It is so pretty.. In my favorite colors, too. It is absolutely beautiful Jessie. So very pretty, it invites sunshine and warmth. Springtime in a quilt! This is so lovely!! Love it! Beautiful! I love the vintage sheet! Just gorgeous! Very sunny and happy. Beautiful quilt with sweet colors. Have you considered hand quilting in the plain squares. I'm hand quilting an Irish chain my friends mother made and a simple wreath in the squares has added a nice touch. 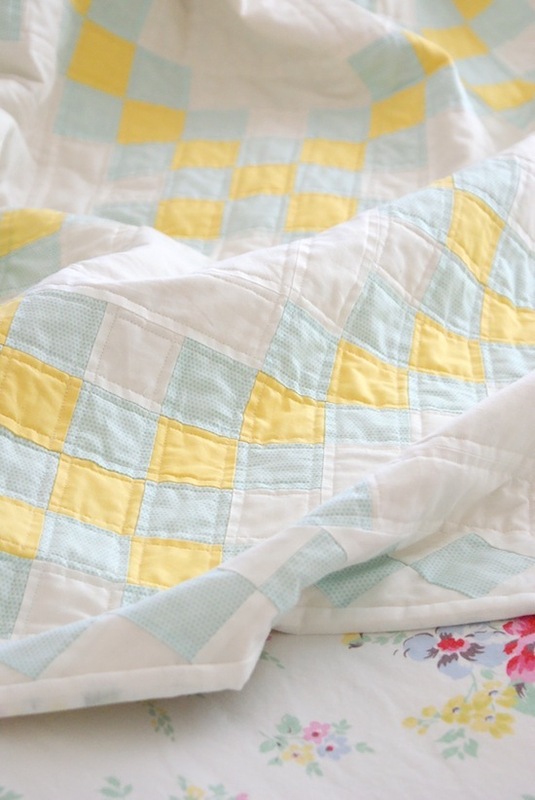 Your new quilt is beautiful, and the vintage sheet is the perfect backing for it! 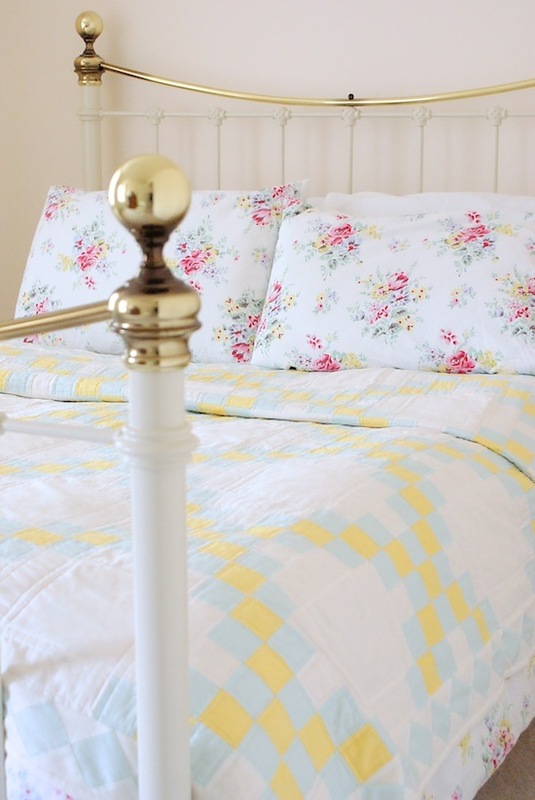 I love the fresh spring feel of the fabrics you chose......it looks so lovely on your bed! Lovely work and heralds spring. I've made 2 of these in the past year and machine quilted straight lines similar to yours then in the empty squares, hand quilted double feather circles, looks great. It's beautiful! I love your brass bed too. The quilt is perfect for it. This is absolutely stunning! You did a wonderful job! !